The modern hotel Sport is one of the best hotels in Poiana Brasov. 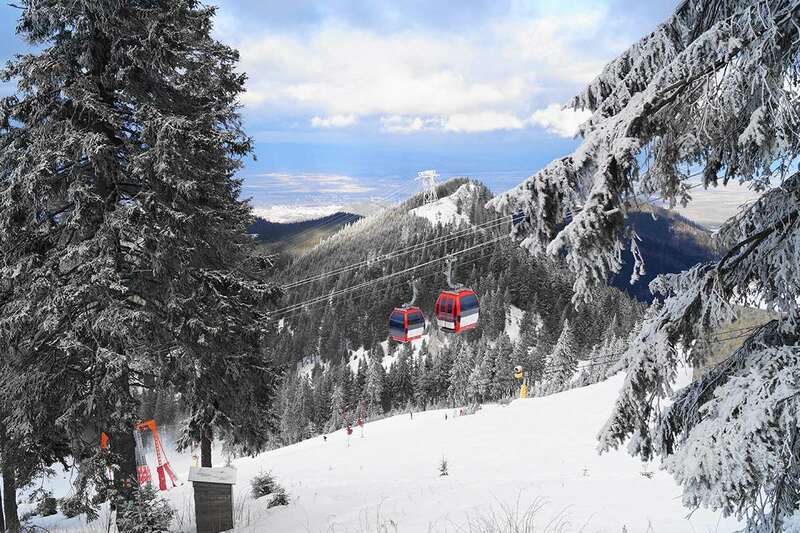 Situated among pine trees at the foot of Bradul ski slope, it is next to the Poiana Brasov ski school, 50 metres from the ski lifts and 200 metres from the resort centre. The hotel Sport offers a high standard of accommodation and modern interior perfect for a ski holiday to Poiana Brasov. Note: Free use of swimming pool, fitness, sauna, jacuzzi and hot tub, all other facilities and services may be subject to a local charge. 89 bedrooms. Twin room with bath, WC, minibar, cable TV, telephone and hairdryer. Child age - 11 years. I stayed here in January 2010 and it was a perfectly good hotel. The all-inclusive option was very good value and included everything. Food was good and all you could eat buffet for all meals. The bar was very good but bar staff were very grumpy (not surprising considering all the drunk english people there!). The slopes are limited but definitely worth a week of a beginners/intermediates time. Romania was very beautiful and Brasov was picturesque. I would definitely return here and probably stay at the same hotel. Having said that the slopes may be a little below an advanced skiier/boarders standards. Excellent value for money and the ski instructors were absolutely fantastic. Only one problem with the hotel is that it was too hot and there was little control over regulating the heating. The staff were great from the moment you stepped into the resort. I would love to go back again.